The clear alternative to braces for Charlotte residents. Learn all about this innovative cosmetic dental treatment. 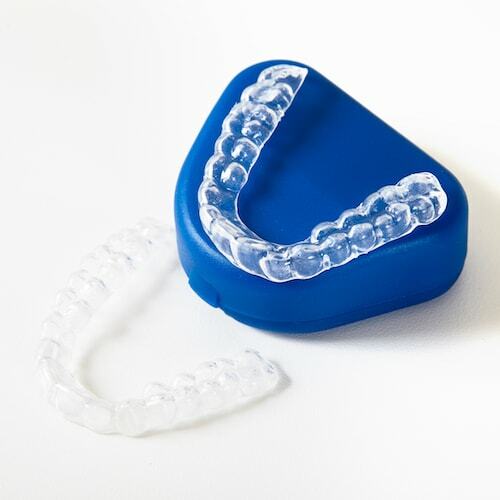 Patients appreciate Invisalign® because some of the common inconveniences associated with traditional braces are avoided. There are no special toothbrushes necessary for cleaning, no painful cuts and tears to the gums and cheeks from the appliances, and no food trapping that is common around the brackets of traditional braces. Invisalign aligners can easily be removed to eat or brush your teeth and therefore cause very little disruption to your normal routine. Only a dentist can tell you if you are a good candidate for Invisalign®. Invisalign® has been successful in treating many dental conditions, including spacing between teeth and tightly crowded areas. It can also be effective in some cases to correct more difficult conditions such as overbites, underbites, and even crossbites. We will take the impressions, photographs, and x-rays necessary to fit you for your aligners. You will wear each set of aligners for two weeks. These aligners should only be removed to eat, drink, brush, and floss. Your teeth move gradually over the course of treatment as you change out your aligners every two weeks. We will ask that you schedule an appointment every six weeks so we can monitor your progress. Your total treatment time can average anywhere between 6 to 15 months and the average number of aligners is between 18 and 30 sets. These numbers vary on a case-by-case basis. The support staff and Dr. Crowley Correll are great. They make you feel comfortable, at home, and well taken care of. I especially like to be told what will happen before it happens and asked my preferences on the little things. Dr. Crowley Correll will help you on your journey to the straight smile you've always wanted.